Whether it’s date night, happy hour with friends, office holiday party, a family gathering, a birthday party or any other excuse to party, Piedmont Social House is the place to celebrate. Throwing a party? Have your next event with us-no matter the size! We offer great food and beverage, a personal event planner and a ton of fun! The 12-Lane Bowling Alley at Piedmont Social House always offers up great memories! Up to six bowlers per lane can partake. Check out our bowling pricing HERE. All parties have a 2-hour rental minimum and food & beverage minimum (balls and shoes are on us)! CONTACT US to learn more! Sometimes it really is just all fun and games. Take a seat & relax or challenge your friends to a game of pool or ping pong! Throw a party in The Lounge! The Lounge at Piedmont Social House is available to rent with a 2-hour minimum. Guests can expect Billiards tables, Foosball, Ping Pong, a comfortable seating area with TV, and food and drinks. Accommodates up to 40 guests. CONTACT US to learn more! The Tap Room at Piedmont Social House is one of two inside bars! Throw a party in The Tap Room! Offer a more intimate enclosed space for your guests. With a private bar and high-top and booth seating available, you can also choose from available gaming options to add to this space. 2-hour rental minimum & food and beverage minimum (adult beverage packages required). Accommodates up to 45 guests. CONTACT US to learn more! The Pub at Piedmont Social House is our second inside bar! Enjoy darts & shuffleboard! Throw a party in The Pub! 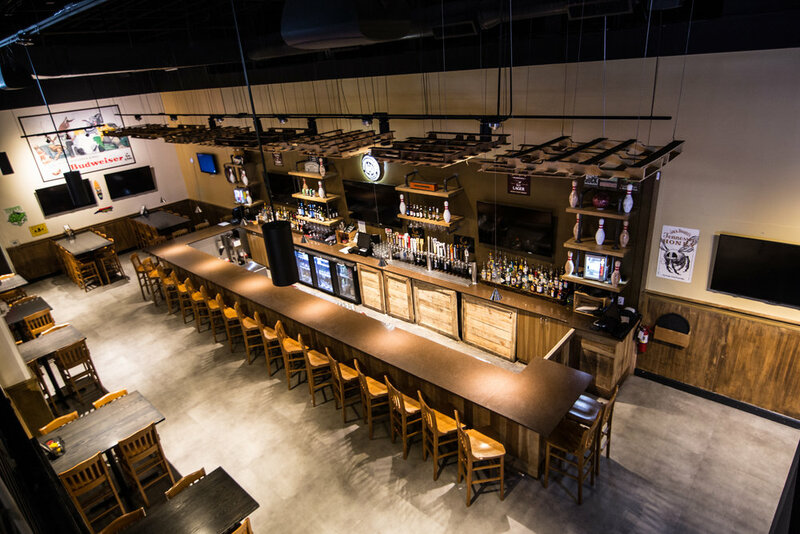 The Pub offers the convenience of a full service private bar and high-top seating. Event guests can play darts and shuffleboard while they enjoy food & drinks. 2-hour rental minimum and food and beverage minimum (adult beverage packages required). Accommodates up to 75 guests. CONTACT US to learn more! Next time you're at Piedmont Social House, take a walk upstairs! Check out the mezzanine and overlook the entire facility while enjoying a billiards table & ping pong! Throw a party in The Social House! Overlook Piedmont Social House as your guests enjoy Billiards tables, Ping Pong, community seating and a private bathroom. 2-hour rental minimum and food and beverage minimum. Accommodates up to 65 guests. CONTACT US to learn more! Nothin’ like eatin’ & drinkin’ on The Patio at Piedmont Social House! 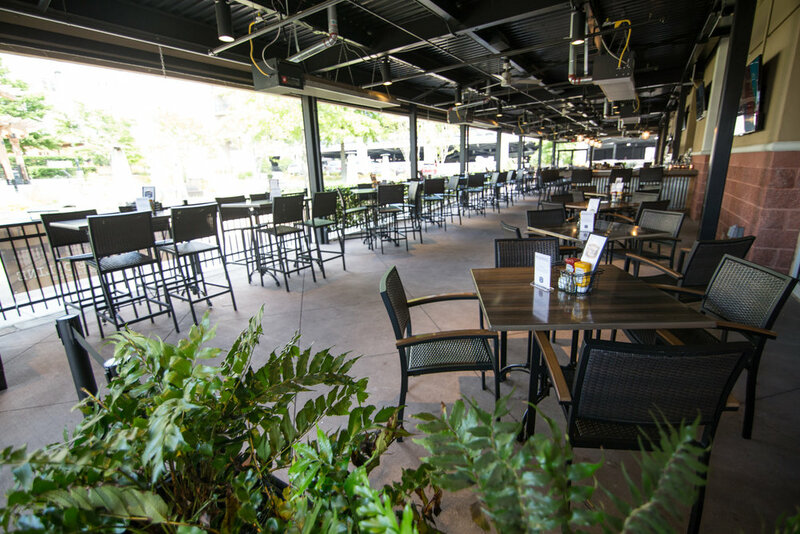 Enjoy the outdoor seating, good food and drinks! Throw a party on The Patio! Enjoy the outdoor weather or climate control your event with our retractable walls. This space provides a private bar and table and lounge seating. Be sure to ask about gaming options! 2-hour rental minimum and food & beverage minimum (adult beverage packages required). Accommodates up to 75-100 guests. CONTACT US to learn more! Just outside Piedmont Social House, the Ayrsley Commons & Event Lawn is ground zero for leisure and social activity in Southwest Charlotte! Enjoy the weather, catch an event or play corn hole & ping pong outside! CLICK HERE to learn more!